From 12 October 2005 to 9 January 2006, the Musee Guimet in Paris will play host to an exceptional exhibition: ‘Treasures of Vietnamese Art… Champa Sculpture’. This show will bring together for the firt time, outstanding pieces from the Musee Guimet, the National Museums of France and the national Vietnamese museums of Da Nang and Ho Chi Minh (formerly Saigon). The discretion of private collectors has meant that, until now, much of the wealth of this great Asian art form has remained relatively unknown but this show also includes several truly exceptional pieces from private collections, hitherto inaccessible to both the public and most curators. Jean-Franois Hubert, an international expert on Vietnamese art, has succeeding in creating a unique artistic opportunity. In the 5th century, the Champa kingdom held sway over a large area of today’s Vietnam. Several magnificent structures still testify to their former presence in the Nha Trang region. Cham Sculpture was created from a variety of materials, principally sandstone, but also gold, silver and bronze, and primarily illustrated themes from Indian mythology. The kingdom was gradually eroded during the 15th century by the irresistible descent of the people towards the south (“”Nam Tien””) from their original base in the Red River region. 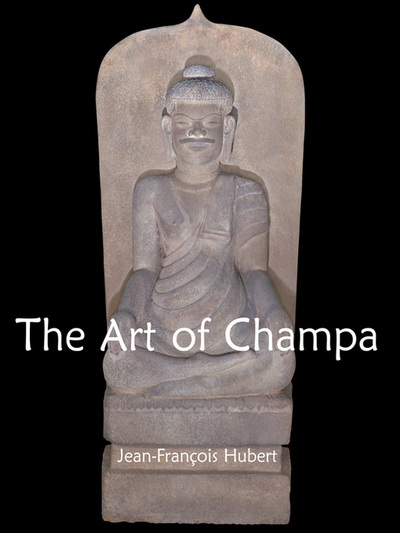 The author explores, describes and comments on the various styles of Cham sculpure, drawing on in a rich and, as yet largely unpublished, iconographic vein. This entry was posted in Literature & the Arts [Văn học và Nghệ thuật] and tagged Champa, Jean-François Hubert, Nghệ thuật. Bookmark the permalink.